Ghana's 57th anniversary of independence is coming up on March 6th. To celebrate the occasion Italian/Ghana-based DJ/producer MoBlack took to the beatmaking room to pay tribute to Kwame Nkrumah's iconic independence speech delivered in 1957. 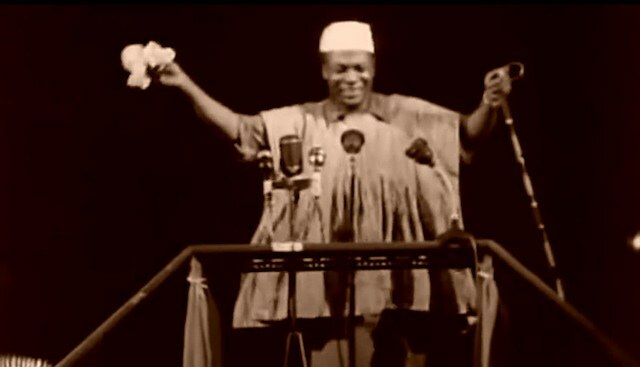 "Freedom," the sample-heavy afro-house track, comes adorned with edits of Nkrumah's speech, handclaps, and percussive whistle effects. The accompanying video features cut and pasted black and white archival footage of Ghana's journey to independence. Grab a download of "Freedom" and watch the video below.